Our Patriot mug started its life at Deneen as the "Lucky Number 7" (our favorite out of nine new mug styles), but we thought that a better name could be had, so we had an online contest and the Patriot was officially added to our line of signature mug styles. According to our Lead Potter, Wade, this shape is as organic as can be and very gratifying to hold. 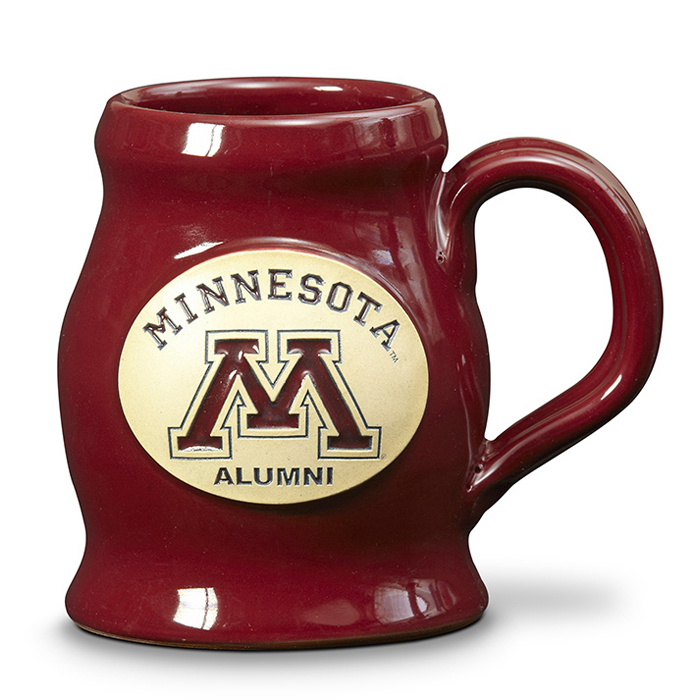 What an incredible opportunity to make mugs for Niles Deneen's alma mater. Our CEO would spend many nights working on ceramic and photography projects in the art building on West Bank before deciding on a Graphic Design degree. Niles was also on the Track & Field team and still holds the record for the 110M High Hurdles. Go Gophers!